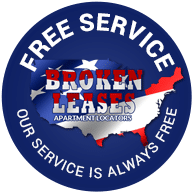 BrokenLease.com is a new concept designed to assist individuals and families obtain a suitable place to rent; apartment, condominium, home, town home or other rental property. To rent an apartment or home usually means your credit score, credit history and rental history does matter to a potential landlord. Unfortunately, if a potential renter has a poor credit score, unsatisfactory credit history and/or rental history, it can potentially affect getting approved for a place to rent. Broken Lease Locators have the tools in place to help potential renters locate their most desirable place to rent regardless of what is showing on their credit report. When approved for an apartment, most landlords or apartment management complexes will require a signed lease or rental agreement, which is a legal document for a certain length of time, typically for one year. There are terms and conditions detailed in the lease or rental agreement that should be read thoroughly before signing it. When signing the lease agreement, you are agreeing to what is stated in the agreement, and you must follow those terms or risk being evicted. Renting an apartment or home is renting a property owned by someone else or a company, so you must maintain the property and not do anything to violate the leasing terms. When having a rental agreement for a certain period of time, you may not think about having to break the lease or do anything that may cause you to be evicted from the apartment during the leasing period. But, unfortunately things may happen and you may need to break the leasing agreement. Various reasons why someone may feel the need to break a lease is for a job transfer out of the area, military deployment or relocation, loss of a job, a family crisis, a medical reason or something else. These are unforeseen situations that may cause someone to break their lease. A broken lease agreement is occurring when renting an apartment, home or some other rental property from a landlord or apartment management company and you vacate the apartment or home, abandoning the leasing agreement without the permission of the landlord or apartment management company. When you vacate the apartment without permission, you are risking potential damage to your credit score, credit rating and/or your rental history. A landlord or apartment management company may report your broken lease to tenant/landlord databases that can list your broken lease up to 7-years. When potential landlords check the database and see you listed, it may affect your chances of renting another apartment or rental property. Additionally, a broken lease will potentially show up on your credit report by showing you owe a total dollar amount, which is the number of months left on your lease multiplied the dollar amount of the monthly rent plus any other fees. After a certain length of time, the amount owed to the landlord or the management company will more than likely be sent to a collection agency for further collections. If after a certain length of time a collection agency is unsuccessful, they may send your outstanding balance to an attorney to collect and potentially cause a judgement against you, if it goes to court. As you can see a broken lease can be very damaging to your credit score, credit history and your rental history. If for whatever reason you need to break your lease agreement, it is recommended to first read over your rental agreement, and then speak with your landlord or management company right away. This way, you can find out what you can do to leave the apartment or rental property with hopes of not jeopardizing your credit and rental history. Your rental agreement may have a clause stating what you are responsible for, if you need to get out of your lease before the end of the lease. Also, speaking with your landlord and explaining the situation may end up making the process of breaking the lease a lot easier. A possible clause that may be in the in the lease agreement for a renter to be able to opt out of their lease early is to give a notice in advance of the need to vacate apartment by a certain number of months like one or two months in advance. Additionally, most states require the renter and the landlord to find another renter to rent the apartment in order to finish off the lease obligation – called mitigating damages. Having another renter finish off the lease will help the original renter not be obligated to pay off the entire balance remaining in the lease. A landlord is not allowed to keep the apartment vacate without finding a new renter, so they can make the obligated renter pay for the entire lease. There may be a legitimate reason as to why someone needs to break their lease, such as becoming seriously injured or ill, the apartment or rental property is not livable or if in the military and have been ordered to move to another area or called into active duty or deployment. These are situations out of your control. BrokenLease.com consists of professional apartment locators who will be able to help you locate the most suitable apartment or rental apartment regardless of your credit score, credit history or rental history. Things so happen, and there may have been a time in your past where you had to break your lease. It is unfortunate that now because of the broken lease, it is showing up on your credit report and rental history. The process of trying to find an apartment and get approved by a potential landlord can be frustrating, if declined because of bad credit or rental history. We have been working with many people just like you have had a broken lease. So, you are not alone. Broken Lease Apartment Locating service is absolutely free. There is no cost to you for our apartment locating service. To get started, fill out the form, submit it and one of our experienced apartment locators will be in touch with you with a list of suitable apartments meeting your requirements. We will save you a lot of time and stress. There is no need to worry because we can help you locate the best apartment based on your requirements regardless of your credit score, credit history or rental history. It won’t take you long to realize how BrokenLease.com is your #1 source to landing an apartment. We know how important it is to choose a new home. You have a lot to think about. You will need to know how many bedrooms and bathrooms, and how close the home is to the school if you have school-age children. You might want to fan out in a bigger geographical region than you originally planned to find more apartments near you that accept broken leases or bad credit. Our team of apartment finders will help you with this search. Another factor that may help you in finding your next home is a good job. It’s a good time to increase your employment results, not lower them. Take some time to identify a new job if you need to job search. Look for a job that will provide pay every other week or every week. This way you can show your future landlord proof that you can afford the rent. It seems so simple, but the number one thing a landlord looks for in a tenant is can he or she afford the rent of this apartment, even if he or she has bad credit or has gone through a broken lease. The past is not the future.